Have a beginner gardener on your holiday shopping list you still need to buy for? Get ideas for some last-minute gifts for beginner gardeners. If you have a gardener on your holiday shopping list, you may be wondering what to buy them. There are unfortunately lots of useless gardening gadgets that are not worth buying. Instead the beginner needs some simple gifts that will save them time, money and help them succeed next year. I’ve broken down the gifts into four sections by price. And have provided convenient links to Amazon, so you don’t have to put up with the craziness in parking lots and malls at this time of year. Click on either the heading/title of the item or the image to go to the link provided. I am a participant in the Amazon Associates Program, an affiliate advertising program designed to provide a means for this site to earn fees by linking to Amazon and affiliated sites. As an Amazon Associate I earn from qualifying purchases. Note: price ranges are in US dollars and are based on prices on Amazon at the time of publication. You may find prices lower or higher depending on when you order. Price ranges don’t include shipping costs. Let them know about this blog! In your holiday card to them, give them the URL tranquilgarden.ca and let them know what a valuable resource this is! If they live close by you can offer them help in their gardens. Any gardener appreciates any extra help they can get! Print up the free certificate I have created and give it to the recipient. Just be prepared to roll up your sleeves in the spring when they will need your help! These are handy as they can cut off a section to the length they need and then wrap it around the plant and stake. It’s easy also to adjust them as the plant’s stem grows thicker. A seed packet makes a great stocking stuffer. You can also spend a bit more than $5 for one gardener and get them a selection of seeds. Get one of the seed catalogues listed above - most seed companies do mail order, although there are restrictions to sending seeds internationally. Knowing what was planted where is critical especially if the beginner doesn’t yet know how to tell the difference between a carrot top and a celery top. These plant labels are designed for children but can be used by adult gardeners as well for a whimsical touch. You will need to print them out and laminate them, but this can be done in an hour or two. The beginner gardener often struggles to know how much water their plants need, if they are getting enough sun and if the soil pH levels are correct. This meter provides information for all three. A wall calendar can be very handy for a gardener. They can write down the dates for planting seeds, transplanting seedlings out, watering, fertilizing and harvesting. When someone is starting off with soil that has been dormant for a while, they won’t likely know the nutrient levels and pH levels of the soil. A soil test kit will tell them some important information about their soil so that they can add the right amendments and get great harvests. One way to save time is not having to water plants everyday. A drip irrigation system is ideal as it can usually be used during watering restrictions and delivers water directly to plant roots where it’s most needed. Give the gift of extra time and happier plants! A great gift for a beginner gardener (especially children) is their own small planter box that they can fill up and plant starting in spring. You will have to build it (or have a friend build it), but the instructions are very detailed and it can be built in an afternoon even by a beginner woodworker. You might just find it hard to built it on-site and hide it from the recipient until Christmas morning! Row covers are great for temperature, moisture and pest control. 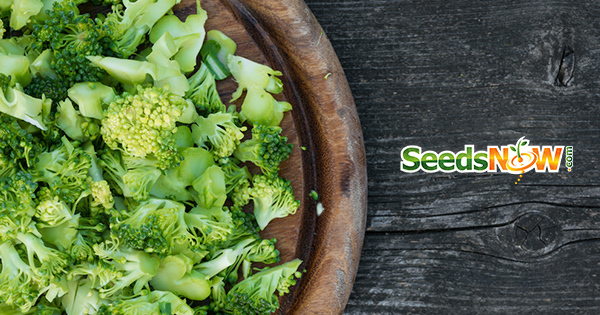 The pest control is especially important for brassicas such as broccoli and cabbage. This kit pulls together all the required items such as stakes, row cover and clips. Of course you can find other gifts for beginner gardeners. You may need to ask some pointed questions to find out what they need the most. And you can always of course offer them help in their gardens if they live close by – any gardener appreciates any extra help they can get! If you enjoyed this article, have something to add or have any questions, please leave a comment below. Like this content? Please share it! Marc is the founder of Tranquil Garden Urban Homestead. He has more than 15 years gardening experience and is working steadily on creating his own urban homestead, trying to be more self-sufficient by growing most of his own vegetables and fruit. I have over 15 years of experience growing food and building outdoor structures. Let me show you how to transform your garden into an urban homestead, growing most of your own food for your family. This site is a participant in the Amazon Services LLC Associates Program, an affiliate advertising program designed to provide a means for sites to earn advertising fees by advertising and linking to Amazon.com. This site also participates in affiliate programs with Seeding Square, Seeds Now, and other sites. This site is compensated for referring traffic and business to these companies. Get the popular seeding aid for Square Foot Gardening!